What type of physical shape I need to be to hunt in Cádiz? No special physical condition is required, just try to be in the best shape you can before coming. That way you will enjoy your trip to the fullest. Our guides have a vast experience in mountain hunting and will try to adapt the hunt a much as possible to each individual’s physical condition. Do take into account that hunting ibex does tend to require a bit more condition than other game species. Hunting in the mountains can be challenging, but remember, you came here to have fun. What type of boots do I require? When hunting Ibex the ground can be steep, undulating, rocky and wet depending on which area you are hunting. Boots need to be waterproof, and have good ankle support for all species. Only when hunting Ibex. Anyway, you could do without them. Do I bring a pack? We recommend you bring a day backpack to carry binoculars, cameras, drink bottles, rain gear while you are out hunting. Our guides will be carrying food, spotting scope, fleshing knives and other equipment. At what range should I be sighted in? We consider that the average shots are from 150 to 250 yards. When hunting Ibex and Chamois in the mountains you can expect to shoot up to 300 yards. Should I bring a spotting scope and binoculars? Your guide will have a spotting scope, but certainly bring your own binoculars. What is the voltage in Spain? In Spain we use 220 volts. We use the TWO ROUND PRONG PLUG. Bring an adaptor-transformer. Can I wear camouflage gear? You can bring and wear camouflage while hunting without any problems. Can I do laundry while in Cádiz? In most hunting areas in Cádiz, laundry is available. What’s the average hiking time on a ibex hunt? You will be hiking an average of 2 to 3 hours on those areas. The tipping in Cádiz and Spain, depends on you. Normally our clients tip the hunting guides, the interpreter and the professional hunter. The amount depends on you and on how satisfied you are with the services and the hunt itself. What kind of vehicles will I be riding? All of our guides drive AWD from top bands. Are there any contagious diseases in Cádiz? There are no contagious diseases in Spain. No vaccines or special medicines are required. It always depends on the hunter and on the number of species that they want to hunt; three to six days would be ideal for different game species. You have to consider that the more days you will be hunting, the more you will enjoy it and the opportunities to get good trophies will be greater. Depending on the chosen program we can advise you how many days will be necessary. If you only want to contract one trophy, one day is enough. Unless ibex, we use to spend maximum two days. Yes, of course you may come with one or several companions, we are sure they will enjoy their stay with us (extra person +75,00 €/day, full board and transports included). If you wish so, they can accompany you hunting and feel the thrill of the adventure or we can plan other recreational activities for them. At Gestiberian we will plan until the last detail of your trip so that your stay in Cádiz will be an unforgettable experience. What kind of firearms is necessary? You have included in all hunting services rifle and ammunition (30.06 Sprg.). For big game hunting in Cádiz, this one or something similar is enough. Is there any problem bringing my own rifle? There is absolutely no problem if you bring your own rifle, in that way you can feel more at ease and it will be great for the hunting. We will send you an invitation letter for you to bring your gun. Make sure to take that invitation to the closest Spanish Consulate to you and there you will be given the necessary permit to be able to introduce that rifle into Spain without any problem and to be able to hunt here in Spain with it. Will anyone waiting for me at my arrival at the airport? 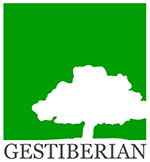 A person of Gestiberian´s staff will be waiting for you at the airport, if the itinerary was settled that way. This person will be helping you with the formalities needed in order to enter in Spain (gun clearance and immigration process) and then take you to your first place from your itinerary. Before you pay your 50% deposit you will need to send us your passport, hunting license and home address. Before your arrival to Spain, Gestiberian is going to provide you with an invite letter that you will have to take to the Spanish Consulate in the US or Canada that handles your area. We can sen you this letter as soon as we have confirmation that you booked your flights. Get in touch with the Spanish Consulate in US that manages your area and follow their instructions, the following link enumerates the consulates, their jurisdiction and contact info: Spanish Consulates in USA. The gun permit can be applied for in person or through regular mail, but the info on the application documents and procedures will be sent to you normally through emails with representatives from the consulate once you send them your questions and inquiries. They are going to provide for you the Gun permit that allows you to use your gun on the Spanish territory. This gun permit is needed in case you rent your gun in Spain as well. The permit will include the information of the gun that you are going to rent: type, serial number, caliber, gauge, etc. Is there a limit on the amount of ammunition we can bring? You have the rifle and all ammo needed during the service included in the price. But If you want take your own rifle with yourself the limit on the ammo is 200 bullets for the rifle. What happens with the trophy after I hunt it? Gestiberian takes maximum care of the preparation of the trophies, preparing them for exportation to the hunter´s country. After the animal is shot, our guides will handle the first preparation of the cape on the field (skinning). In order to be allowed for exportation, the cape, skull and horns need to undergo a special treatment in Spain: skin salt, dip and in some cases early tanning. This process normally takes 3 or 4 months as the cape needs to be completely cured and dry before exportation. You have the taxidermy fees at terms & conditions tab inside each hunting service. How is the medical assistance in Cádiz or Spain? The medical assistance accessible to us is of the highest quality and able to treat and heal any treatable problem that arises. We have a network of hospitals throughout the country, as well as service for urgent medical attention, equipped with air and land vehicles, that guarantee urgent assistance to anywhere, no matter how remote that is. Spain has a National Health Service and it is important that participants from European Union countries obtain a European Health Card. Without this clients may be requested to pay in full for any medical treatment received in Spain.